It’s probably one of the most asked questions we hear on a daily basis from our eager new employees. WSI associates have the option of being paid via direct deposit to their bank account or a Global Cash Card (a fancy name for pay cards). The Global Cash Card is an easy and safe alternative for direct deposit. You’ll be paid directly through your card and can use it to make purchases, pay bills, and even get cash from ATMS. If you change jobs down the road, you can also continue to use the card through your next employer, and are also able to change from Global Cash Card to direct deposit at any time. Your WSI staffing coordinator will issue your pay card in the office before your first day of employment. Once activated, you’ll be able to use it immediately. Funds will be automatically loaded onto your card every Wednesday. Your card can be used at any location that accepts Visa or MasterCard, and can also be used to make online purchases. After you swipe the card, choose credit, then sign the keypad – that’s it! When pumping gas, it’s best practice to prepay with the cashier inside. If you choose to pay at the pump, some gas stations may put a hold of $100 on your card that can last up to 24 hours. Yes! You can access that cold hard cash at ATMs around the world. Just check online to find the ATMs that won’t cost you a surcharge. HINT: Check for Moneypass or Allpoint logos. You can also look on moneypass.com and allpointnetwork.com to check ahead of time. The best way to do this without any pesky fees is to log in to your account at globalcashcard.com. You’ll also be able to opt in for two-way texting, which is a service that allows you to receive information about the latest activity on your card through text message. If your card is misplaced or stolen, call Global Cash Card at 949-751-0360 immediately to report it. 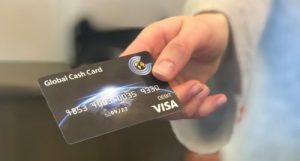 For more information, ask your WSI representative or check out https://www.globalcashcard.com/gcc_faqs.cfm.